Chances are that if you are parking your domain, you are probably also willing to sell it. 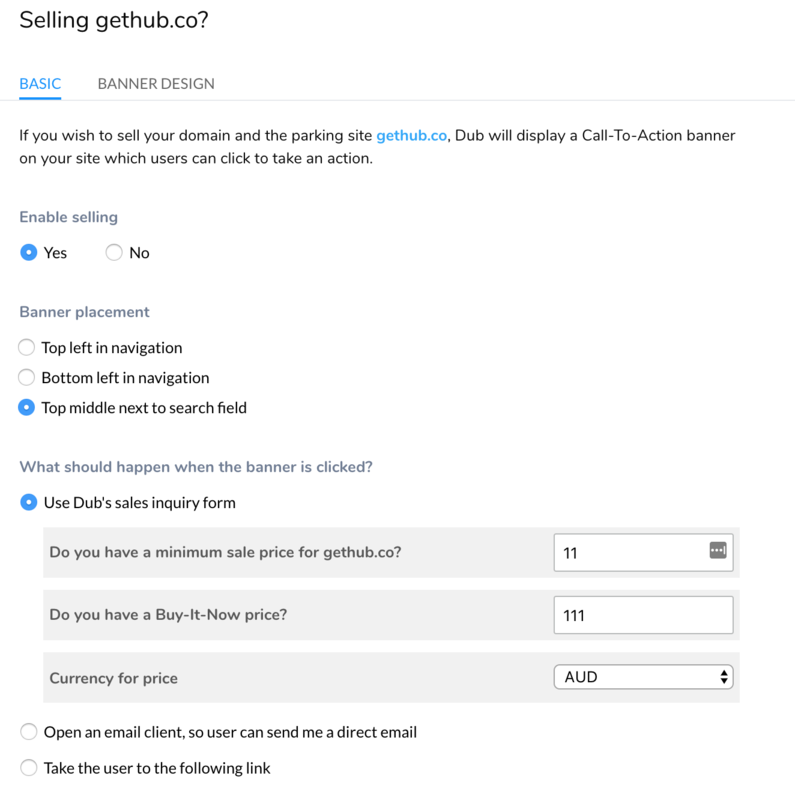 If you have created a parking site but if you also want to sell the domain, Dub lets you do this by displaying a Call-To-Action banner, through which interested visitors can send you an email to begin the conversation about a possible purchase. If you want to enable this, you can set this via Selling? menu item in the admin panel as shown in screenshot 1. 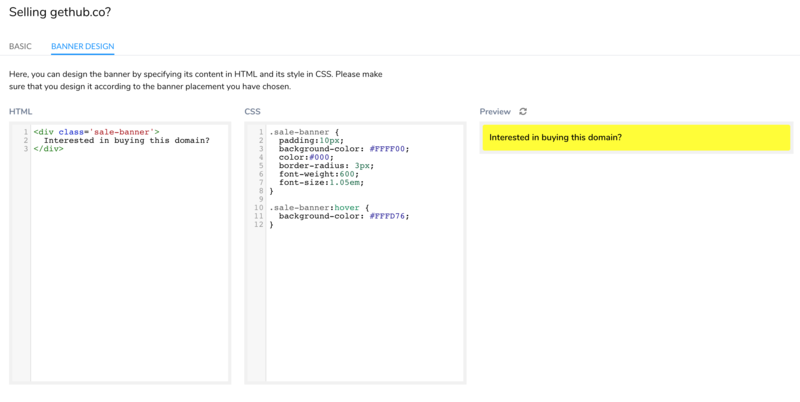 Within the Basic you will be able to either disable or enable selling and if you are, you can select the banner placement, and what would happen if a visitor clicks on the banner. When a visitor clicks on the banner, you can select from three types of actions. The first one is a form page provided by Dub. If you select this, you can provide details about the domain such as minimum sale price, Buy-It-Now price and the currency the price is in. Otherwise, you can either open up an email client so that the visitor can email you directly or if you have a different sale page, you can redirect your visitor. You can also design the banner through Banner design tab as displayed in screenshot 2. The content of the banner can be specified via basic HTML and then you can style it using CSS. Please make sure that you design the banner according to the placement of banner that you have selected in the Basic tab, since the amount of available space is different.